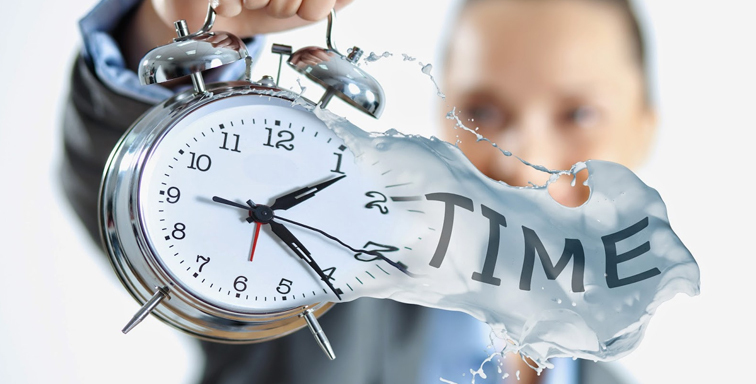 If you found your way here, odds are that you’re hoping to learn how to effectively manage your time in many different situations. Maybe you’ve even read books on the subject or you’ve possibly even taken a time management class. It’s difficult to prioritize your schedule and plan your day. Ultimately, it’s often an overwhelming experience for many people. And more often than not, the books and classes just make this topic even more confusing. Many people struggle trying to use time management systems and gadgets. More than likely, these methods and gizmos don’t work because they are trying to manage time on the clock instead of the distractions and unexpected responsibilities that take place in real time. Entrepreneurs often find this especially difficult. Life and business has a tendency to pull them in a million directions every week. It’s nearly impossible to eliminate these interruptions, so you have to come up with a way to work around them. Here are five powerful techniques that will help you master time management before ripping your hair out in frustration. By writing down everything that you’ve accomplished in one week, you’re getting a bird’s eye view of how much you can get done in a week’s time. And by looking at this information, you’ll be able to break it down even further and figure out how much you can accomplish in one day. This information will make it possible to schedule your day – even with interruptions – so that you can get everything done on time without overextending yourself. Pro tip: instead of using a to-do list, you’re much better off using an appointment book. By creating an appointment for all of your important activities and conversations during the day, you’ll have blocked off time for high priority tasks, conversations, and thoughts. When you begin scheduling these appointments, and make them a major part of your life, you’ll become disciplined enough to keep them at all times. Because you know that you are hurting your chances at achieving productivity success otherwise. Scheduling appointments for specific tasks in an appointment book is only one step in the process. To really up your game, you have to start using time tracking software. It’s going to be nearly impossible to stick to a schedule and properly manage your time if you haven’t effectively planned your day before getting started. So, make sure you begin the day by taking 30 minutes to plan out your schedule ahead of time. As a matter of fact, you should never start your day unless your time management plan is complete and down on paper, tablet, phone, or computer screen. This scheduling period is actually the most important time of your day. It sets the tone and puts the whole day on the right path to time management success. Are you typically distracted by Facebook? How about Twitter? Download software to block these websites during the workday. And if you use them to generate business, block them out for certain periods of time when you need to be productive and then turn them back on at the appropriate hour. Mastering time management is difficult. There’s no denying it. But if you use these five tips, you’ll have a much better chance at achieving time management success like you’ve always imagined possible. This article was written by Wendy Dessler who is a super-connector with OutreachMama and Youth Noise NJ and helps businesses find their audience online through outreach, partnerships, and networking. She frequently writes about the latest advancements in digital marketing and focuses her efforts on developing customised blogger outreach plans depending on the industry and competition. You can contact her on Twitter. Could Your Communications be Better? Is the idea of a job for life a thing of the past? AL Consulting helps organisations focus their strategic thinking and raise business performance. We do this by harnessing creativity and innovation – qualities that change the way people approach work.